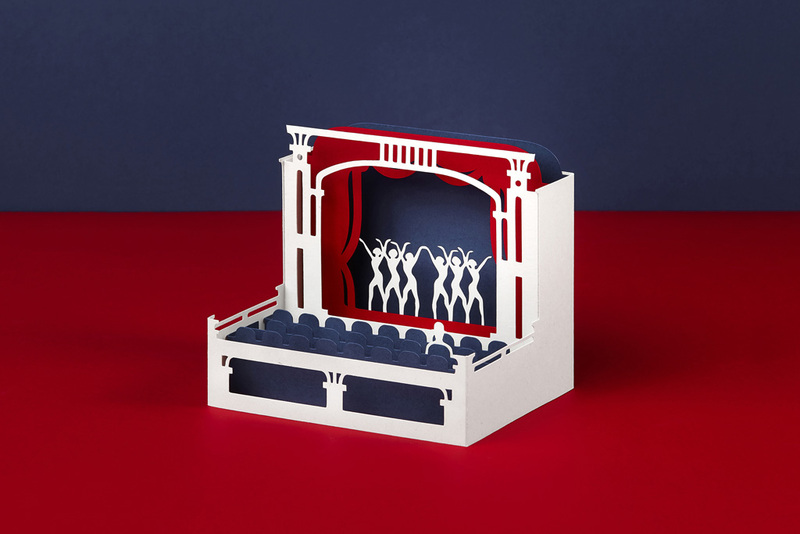 Moulin Rouge is a Cabaret Pop Up designed for the Toulouse Lautrec exhibition at the Ara Pacis in Rome. 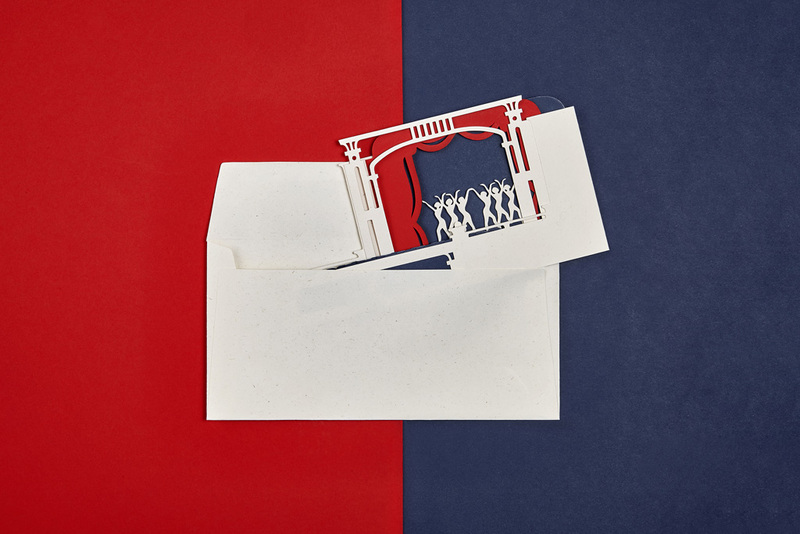 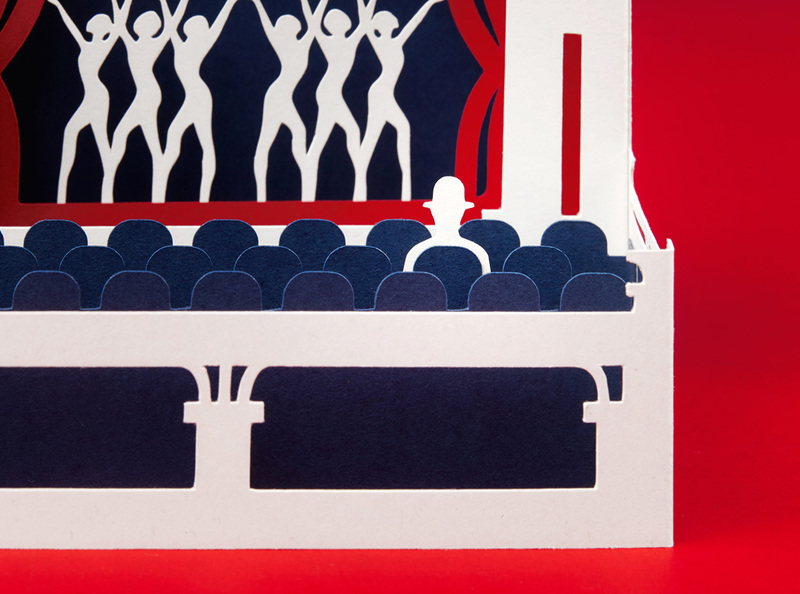 This pop-up card shows an inconspicuous Lautrec seated in the theatre during a carabet act. 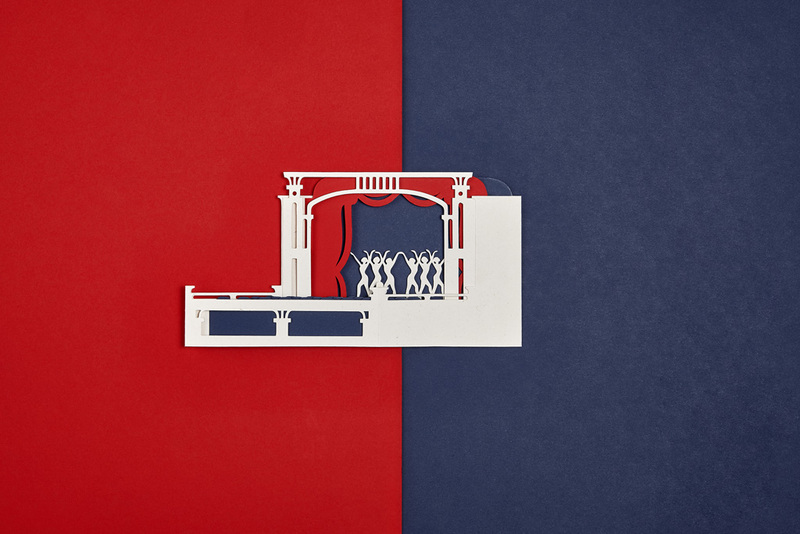 The composition and colors were carefully chosen to illustrate Paris in its whimsical past.